Agate is for mental energy and study. 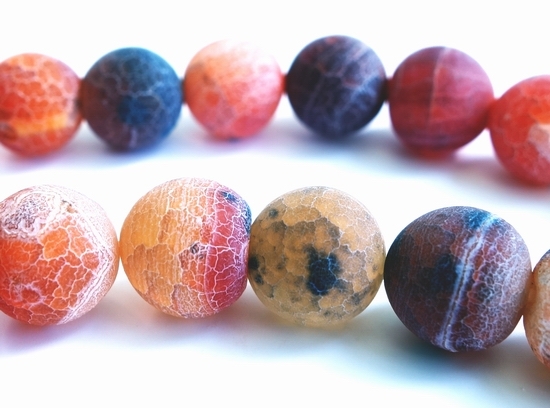 Price is for 15-inch string of these striking beads. As these are natural, each will have a different pattern and color. Fantastic matte finish.